All prices are in Canadian dollars and do not include Shipping and Handling – click here for shipping rates. Non-food items are subject to 5% GST plus 7% PST. A raw honey produced on our farm from bees who feast on our echinacea flowers. 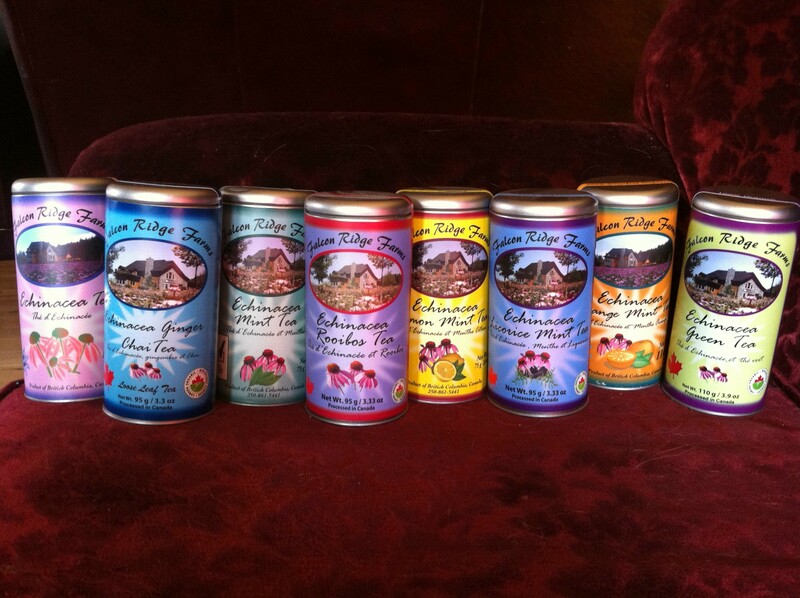 An instant energy building food, it contains all the essential minerals necessary for life. Our honey is totally unprocessed, just extracted from the honeycombs at room temperature to preserve all the natural enzymes. Russian Red: a Hardneck type in the Rocambole family of garlic. Large bulbs with 8-12 cloves per bulb. Deep, full garlic flavor that has a delayed heat sensation but a nice sweetness. Keeps for 4-5 months. Add zip to your meals with our tasty, homemade condiments like Barbecue Sauce, Salsa, Cranberry Orange Sauce, Orange Rhubarb Chutney, and Corn, Piccalilli, or Zucchini relish. Try echinacea tea on its own or blended with the delicious flavors of mint, licorice, orange, lemon or rooibos. 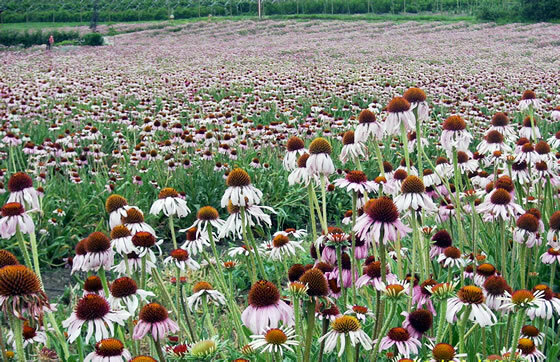 All our echinacea tea blends are 100% certified organic and caffeine-free. A powerful Echinacea Angustifolia tincture made from fresh certified organic echinacea root. This product has a NHP number approved by Health Canada. Use these handy disposable filters to brew a single cup of tea with loose tea or herbs. Comes with or without stick. These decorative boxes and baskets filled with a variety of delicious Falcon Ridge Farms products make great gifts. Be sure to specify your choice of tea blends when you place your order. An all natural anti-bacterial mouthwash that leaves your teeth tingling and your breath sparkling clean. Made from fresh Certified Organic Echinacea Root. A very effective throat spray for sore throats. Contains herbs that have anti-inflammatory and anti-bacterial properties: Echinacea, Oil of Oregano, Astragalus and St. John’s Wort. Our delicious full-bodied jams and jellies are made from organic fruit grown on the farm, including apricots, blackberries, blueberries, cherries, wild chokecherries, grapes, raspberries, strawberries, and rhubarb. For something different, try our Gingered Zucchini Marmalade, Carrot Cake Jam (it really tastes like carrot cake), or Blueberry Basil Jam. Breakfast will never be the same again! You’ll love our tangy, savoury, homemade pickles. We give the old time favorite Bread & Butter Pickles some zest with ginger root and horseradish. Our Pickled Beets combine a little bit of sweet and a little bit of spice. Our Dilled Carrots and Dilled Beans are flavoured with organic dill from our garden; the Dilled Carrots have a bit of heat from red chile peppers. Dried or fresh echinacea root and echinacea seed. Delightful fruit and vegetable salsas – great for quick appetizers or meal accompaniment. Farm fresh and certified organic! Add a delicious tang to your salads, sauteed vegetables, pastas, and marinades with our organic, herb-infused vinegars. Try Italian Country, robust Blueberry Basil, delicate Raspberry Champagne, or Salad Bouqet.